SAVE MONEY . 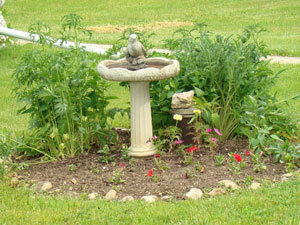 . . BOOK DIRECT! 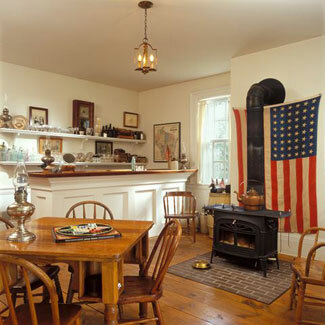 Eagle Centre House Bed and Breakfast is an authentic replica of an 1846 Greek Revival style stagecoach inn, situated in the scenic Southern Kettle Moraine. 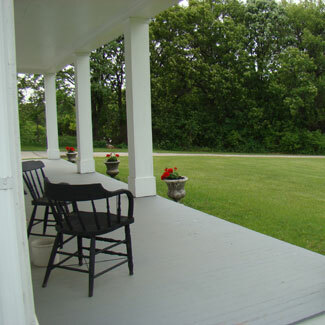 We offer comfortable, romantic B&B lodging in Eagle near Old World Wisconsin Outdoor Museum and the Southern Kettle Moraine State Forest. A full, candlelight breakfast is included and served in the dining room adding to the romantic journey into the past as breakfast is served on “Tea-Leaf” Ironstone china (c. 1855 plus). Take your time, eat hearty. It will be a memorable experience. 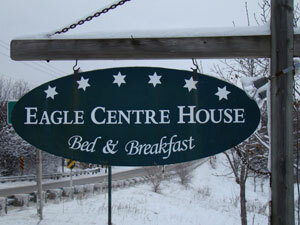 "I've stayed in B&B's from New York to California, and Eagle Centre House is the best!"